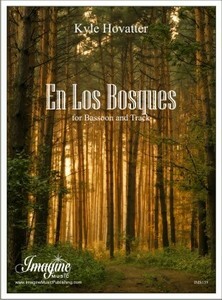 Based on the poem by Pablo Neruda, “En Los Bosques” is a dialogue between a bassoon and prerecorded audio. The track to “En Los Bosques” is a mix of personally made recordings. Congos, djembe, ukelele, pipe organ, and field recordings made in Mt. Tamalpais California are mixed with the voice of my good friend and fellow composer Kevin Villalta. My deepest thanks go to Susan Nelson and the MidAmerican Center for Contemporary Music at the College of Musical Arts of Bowling Green State University for commissioning this work now published by Imagine Music Publishing. by the moist half open darkness of the leaves. the land I had lost with my childhood and I stopped, wounded by the wandering scent.